Who is behind Model Investing? The team at Model Investing includes finance professionals, data scientists and software engineers dedicated to helping people enrich their lives by making more intelligent investment decisions. 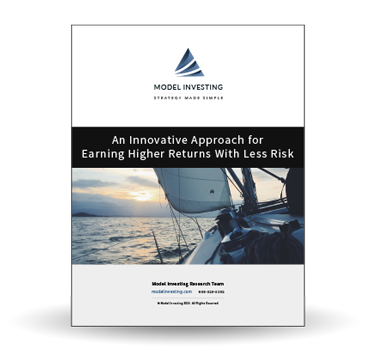 Model investing is at the leading edge of a shift in investment philosophy and approach. Learn More. What is Model Investing’s investment philosophy and methodology? We believe in using the latest academic research to identify and exploit market opportunities. Our innovative approach is a tremendous improvement over traditional portfolio management. Learn More. Why should I invest with Model Investing? We’ve discovered a strategy that allows us to consistently outperform the market and the vast majority of professional money managers. We’re offering to share our strategy with you for less than $30/month. Learn More. New Model Recommendations are available on the first trading day of each month. How much effort is required on my behalf? Typically about 5-15 minutes per month. When you receive the latest Model Recommendations, login to your account(s) and make the appropriate changes. Sometimes the Model Recommendations do not change from one month to the next, in which case you would not need to do anything. Do I have to update my investments myself? Yes. By implementing the recommendations yourself, instead of having us manage your money, you a) play a driving force in the creation of your own wealth and b) save us a tremendous amount of capital, overhead, and expenses, allowing us to provide our strategy to you at a very reasonable price. I’m approaching or in retirement, are your Investment Models appropriate for me? Yes. Our Investment Models are designed to deploy capital in the most efficient way possible, which is something every investor can benefit from. Those who are approaching or in retirement should de-risk their portfolios using the strategy outlined here. Can I use Model Investing with Vanguard funds? Yes. Vanguard offers a variety of ETFs that track the same bechmarks as the ETFs we use here at Model Investing. If you’re a Vanguard customer, please see this Quick Reference Guide to determine Vanguard fund equivalents. Can I use Model Investing with Fidelity funds? Yes. Fidelity offers a variety of ETFs that track the same bechmarks as the ETFs we use here at Model Investing. If you’re a Fidelity customer interested in using Fidelity’s commission-free ETFs, please see this Quick Reference Guide to determine Fidelity fund equivalents. For other Fidelity account related questions, please Contact Us. Can I use Model Investing with Schwab funds? Yes. Schwab offers a variety of ETFs that track the same bechmarks as the ETFs we use here at Model Investing. If you’re a Schwab customer interested in using Schwab’s OneSource commission-free ETFs, please see this Quick Reference Guide to determine Schwab fund equivalents. For other Schwab account related questions, please Contact Us. How much does Model Investing charge for its service? Access to ALL of our models is available with a premium subscription. We offer the following options: $249/year, $149 every six months, or $29/month. Click here for more information. When you join Model Investing your first month is Free. After that, a prorated refund is available for any time remaining in an active subscription. More details can be found in our Terms & Conditions. If I don’t like Model Investing, how do I cancel? Simply login to your account, click on your account settings and click the cancel button. No need to call, email or talk to anyone! Can I pay based on a percentage of assets under management? No. 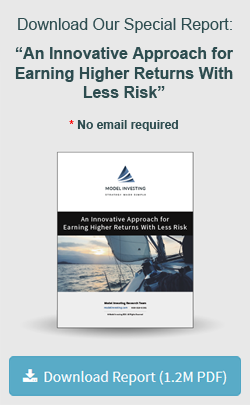 At this time Model Investing only offers access to the Models on a subscription basis. Where can I see the the historical backtested performance of the Models? You can view historical performance data for each of our models here. You can also use our Model Calculator to see how you would have done in the past if you were already using Model Investing. How do the Models outperform other investment strategies by such a large margin? We utilize a dynamic approach to asset allocation which minimizes the drag of lower performing assets and keeps you invested in the strongest performing areas of the market. The Model(s) that you should use depend on how you invest. This article explains how to determine which model is right for you. Do I need to follow the Model Recommendations exactly? We recommend following the Models as close as possible, but ultimately your investment decisions are up to you. We provide decision support tools with the Model Recommendations for those who want to use our strategy as the foundation of their decision making process. Will I encur transaction costs? It depends on the type of account you invest through. For example, Thrift Savings Plan investors can generally move their money between funds at no cost. Some 401(k) plans work the same way as long as you do not make an excessive number of trades. Those investing through individual accounts with online brokerages will most likely have to pay trading commissions. Exchange Traded Funds are similar to mutual funds but have lower expense ratios and generally track the performance of an index or segment of the market. All ETFs recommended at Model Investing are low cost and highly liquid, meaning you can enter and exit positions with ease. If I have a question about Model Investing, is there someone I can talk to? We have a number of resources available for you. You can explore our Investment Models, read our Model-Specific Tutorials or head over to our Learning Center. If those don’t provide the answer you’re looking for, give us a call at 858-529-5392 or Contact Us.